The house at 54 Ayres Street (formerly Whitecross Street) in the Southwark neighborhood of London is from the 1950s. 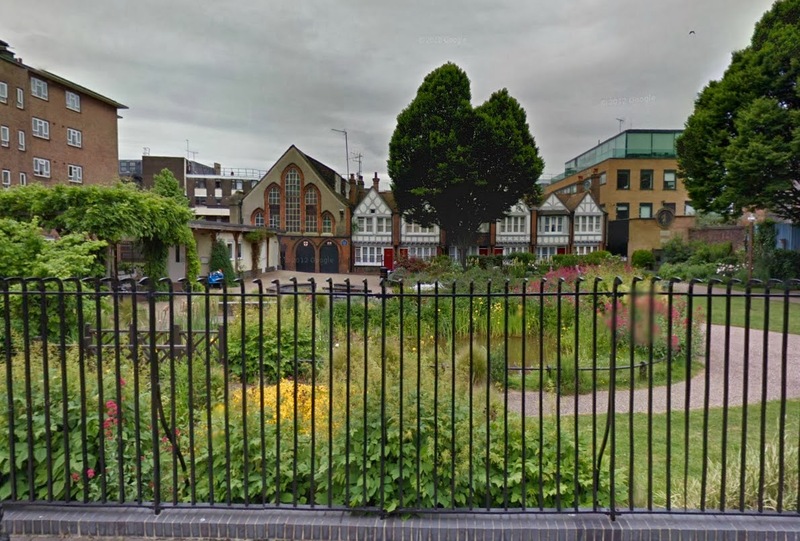 It stands next to a garden and six cottages that were built in 1887 for the poor under the direction of social reformer Octavia Hill. Two mosaic roundels originally decorated the garden wall. One was "The Sower" donated by Julia Minet in 1896 and made by Powell and Sons. 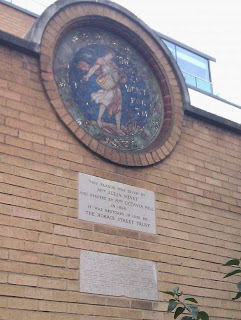 It was on a wall in the north-west corner overlooking the Red Cross Garden, but it's since been relocated to the rear of the current Octavia House building. The second mosaic roundel was "The Good Shepherd" presented by a Mrs. Lynch and Miss Gregg. It was made by Salviati; however, it is now thought to be lost. Bowers, Robert Woodger. Sketches of Southward Old and New. London: W. Wesley and Son, 1905. 467.